Boston – Langone Park and Puopolo Playground, located in the North End on Boston Harbor, will be the very first park area in the Boston system to implement flood-prevention measures outlined in Mayor Marty Walsh’s Resilient Boston Harbor Plan. Weston & Sampson is applying innovative open space climate resilience design methods that will integrate the standards set forth by the city within the improvements program and mitigate future flooding. Last fall, Mayor Walsh announced a plan to transform the city’s 47-mile shoreline in an effort to prevent flooding from climate change-fueled storms. The Resilient Boston Harbor plan would add 67 acres of green space to the shoreline and protect infrastructure from higher sea levels. Under the plan, which involves restoring 122 acres of parks and tidal areas to create natural buffers, miles of roads and infrastructure would be raised and some downtown areas, parks, and roads would be redesigned to reduce damage from potential flooding. “We’re not just planning for the next storm we’ll face, we’re planning for the storms the next generation will face, said Mayor Walsh. Stormy day rendering during a storm event in the year 2070, with no change to existing conditions. Langone & Puopolo is one of the oldest parks in the Boston Parks and Recreation system. 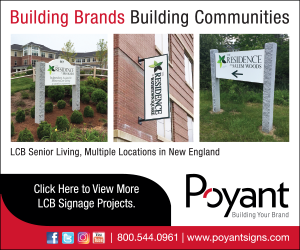 From its initial use as the North End Beach and the site of the Great Molasses Flood in 1919 to its current use, Langone & Puopolo has always been a key asset that serves not only the neighborhood but also the greater Boston community. Currently comprised of a children’s playground area and walkways, basketball court, bocce courts, Little League baseball field, and a multi-use rectangular field with softball and baseball overlays, Langone & Puopolo is the only recreational open space with athletic fields in the North End. The property also includes a significant length of the Boston HarborWalk corridor, a key link that connects Charlestown and Downtown Boston. Additional park improvements include reconstructing the Little League field, replacing and improving the multi-use field with a synthetic turf field, relocating and expanding the playground area, expanding and improving the bocce courts, raising and improving the HarborWalk, creating a new neighborhood memorial garden, and significant improvements to the stormwater management system, including relieving pressures off the overburdened stormwater system that is located offsite. Amenities include modern and efficient sports and pedestrian lighting, paved walkways and plaza spaces, site furnishings, and extensive tree and landscape planting areas. The totality of these elements is certain to yield an award-winning design for the North End. Several key elements of the 4.5-acre park have deteriorated considerably over time. Most notable is the seawall that separates the park land from Boston Harbor. As climate change and sea level rise become more prevalent and a key challenge to waterfront cities like Boston, open space assets like Langone & Puopolo have been identified as cornerstones to the protection of the city’s edge. Currently, a large section of the park’s harbor edge is inundated during large storm events and astronomical tides. This project aims to be ground zero for the implementation of open space climate resilience design, serving as a blueprint for future projects.